For Hasankif, a village in Mazandaran province in Iran's Caspian mountains, see Kelardasht. Hasankeyf (Northern Kurdish: Heskîf, Arabic: حصن كيفا‎‎, Greek: Κιφας, Latin: Cepha, from Syriac: ܚܨܢ ܟܐܦܐ‎ Ḥéṣn Kayfa) is an ancient town and district located along the Tigris River in the Batman Province in southeastern Turkey. It was declared a natural conservation area by Turkey in 1981. Predominantly Armenian and Arab before, a steady and significant Kurdish immigration from surrounding villages in the last 20–30 years—combined with the effects of the Armenian and Assyrian Genocide—has shifted the ethnic balance. Kurdish people form the majority of the city centre today. Much of the city and its archeological sites are at risk of being flooded with the completion of the Ilisu Dam. Hasankeyf is an ancient settlement that has borne many names from a variety of cultures during its history. The variety of these names is compounded by the many ways that non-Latin alphabets such as Syriac and Arabic can be transliterated. Underlying these many names is much continuity between cultures in the basic identification of the site. The city of Ilānṣurā mentioned in the Akkadian and Northwest Semitic texts of the Mari Tablets (1800–1750 BC) may possibly be Hasankeyf, although other sites have also been proposed. By the Roman period, the fortified town was known in Latin as Cephe, Cepha or Ciphas, a name that appears to derive from the Syriac word ܟܐܦܐ (kefa or kifo), meaning "rock". As the eastern and western portions of the Roman Empire split around AD 330, Κιφας (Kiphas) became formalized as the Greek name for this Byzantine bishopric. Following the Arab conquest of 640, the town became known under the Arabic name حصن كيفا (Hisn Kayf). "Hisn" means "fortress" in Arabic, so the name overall means "rock fortress". Western reports about the town before the 20th century refer to it by various names that are transliterated from Arabic or Ottoman Turkish. The most popular of these were Hisn Kaifa and Hisn Kayfa, although a wide variety of others are used including Ḥiṣn Kaifā, Ḥiṣn Kayfā, Ḥiṣn Kayfâ, Ḥiṣn Kīfā, Ḥiṣn Kîfâ, Hisn Kayf, Husn Kayfa, Hassan-Keyf, Hosnkeif and Husunkeïf. Two early Armenian historians list additional names for the town: Harsenkev (Armenian: Հարսնքվ) is recorded by Matthew of Edessa (Mesrob Eretz) and Kentzy is recorded by P. Lucas Ingigian. As part of Atatürk's Reforms in the 1920s and 30s, many place names were modified to more Turkish-sounding forms and the town's official name was changed to Hasankeyf. This version appears occasionally in foreign reports in the mid 20th-century but only becomes prevalent after about 1980. In the Kurmanji Kurdish language, the town is known as Heskîf. During the Middle Bronze Age the area around Hasankeyf was likely part of the Hurrian kingdoms. The Akkadian and Northwest Semitic texts of the Mari Tablets (1800–1750 BC) refer to Ilānṣurā, an important walled city on a large river. Ilānṣurā has been tentatively identified with Hasankeyf, although several locations in northeast Syria have also been proposed. By the 14th century BC, the Hasankeyf area was within the Hurrian kingdom of Mitanni. Between the 9th and 7th centuries BC it was part of the Neo-Assyrian Empire, and by the mid-6th century it was part of the Median empire. In Roman times, Hasankeyf (known as Kepha, Cephe, Cepha or Ciphas) was a base for legionaries on the frontier with the Sasanian Empire of Persia. For a time the town became the capital of the Roman province of Arzanene, although Nisibis was the headquarters of the Dux Mesopotamiae. Constantius II (324–361) built a fort at Kepha, but it is unclear whether this was on the current citadel site. The existence of a Roman bridge across the Tigris at Hasankeyf has been viewed as "highly probable" by one scholar who speculates that (like the later bridge) it may have had "a wooden superstructure based on piers of masonry and natural stone". However, none of the remaining structure of the bridge appears to date from Roman times. The balance of power in the region shifted significantly in 363. Following the death of the emperor Julian at the Battle of Samarra, his successor Jovian was forced to surrender to the Persian King Shapur II the eastern provinces of Arzanene, Moxoene, Zabdicene, Corduene and Rehimena. This included 15 castles, along with the cities of Singara and Nisibis, but not their inhabitants, and the fortress of Castra Maurorum. While Kiphas had been administered as part of Arzanene up to 363, it lay on the south bank of the Tigris and was not surrendered to the Sasanians. Before the treaty, the fort at Kiphas had been on the border between Roman territory and the Armenian vassal kingdom of Arzanene. 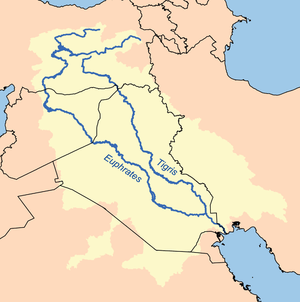 Now the border with Persia ran along the Tigris and the legionnaires at Kiphas were stationed right on it. Their role was chiefly to protect the Tur Abdin massif and the approach through it to the Roman province of Sophanene from attack by the Persians in Arzanene. Recording the situation at the end of the fourth century, the Notitia Dignitatum identifies Cepha as the seat of the commander of the Legio II Parthica. The bishop of Cepha is recorded as attending the Council of Chalcedon in October 451, which implies the settlement must have become a sizeable town by that time. As the use of Latin began to wane in the Eastern Roman Empire, Κιφας (Kiphas) became formalized as the Greek name for the Byzantine bishopric. Rescue excavations from 2005 to 2008 uncovered evidence of the base of a Roman gateway to the upper city, a row of shops from the late Roman period, and Roman floor and wall mosaics. By the sixth century, the Persians were mounting frequent attacks on the eastern border of the Byzantine empire. As a consequence, the Byzantines built a great number of military installations in the region during the early and mid-sixth century. Despite this the Persians seized the opportunity of a Byzantine civil war to attack the eastern provinces, in what became the Byzantine–Sasanian War of 602–628. Early in the conflict they occupied Kiphas along with Mardin, Dara and probably the rest of the Tur Abdin, and these were held for most of the rest of the war. The treaty that concluded the war restored Kiphas to Byzantine control, but the gain was to prove short-lived. Writing between about 600 and 610, the Byzantine geographer George of Cyprus mentions Cepha as a fortress in the Mesopotamia section of his Descriptio Orbis Romani. By the 630s, Muslim Arab forces had conquered large parts of Mesopotamia, Syria and Iran. Kiphas appears most likely to have been captured during the Muslim conquest of Armenia in 640, shortly after the conquest of Nisibis. An account from this period provides the earliest mention of any bridge across the Tigris at this site. Over the subsequent five centuries, the town was ruled Arab dynasties under the name Hisn Kayfa, first by the Ummayad and Abbasid caliphates and later by semi-autonomous Hamdanid and Marwanid rulers. In the 11th century, Seljuq Turks and their Turkmen and Oguz allies moved into eastern Anatolia, culminating in the Seljuq defeat of Byzantine forces at the Battle of Manzikert in 1071. Victory at Manzikert quickly resulted in Seljuq forces controlling large parts of Anatolia and northern Mesopotamia. The Seljuq sultan Rukn ad-Dīn Barkiyāruq granted Hisn Kayfa as a fief to the Artuqids in AH 495 (1101/1102). In 1104, the crusader Joscelin, at that time the count of Turbessel, was imprisoned at Hisn Kayfa by Sökmen of Artukids after he was captured at the Battle of Harran along with his kinsman Baldwin, count of Edessa. Baldwin was imprisoned at Mosul by the Seljuk atabeg Jikirmish. After the death of Jikirmish in 1107 and the payment of a significant ransom, Baldwin and Joscelin were released. Coincidentally, both men later became prisoners of Nur ad-Daula Balak ibn Bahram ibn Artuq in 1122/1123. Control of trade along the Diyarbakır–Mosul road paralleling the Tigris, and north–south between Lake Van and the Euphrates generated prosperity for the Artuqids and ensured their power in the region. Consequently, the existence of a reliable river crossing for goods and people was a priority, and the Artuqids built a bridge across the Tigris at some time between 1147 and 1172. This period was something of a golden age for Hisn Kayfa, with the Artuqids and their successors, the Ayyubids, building the Small Palace and the Great Palace as well as the Tigris bridge. The infrastructure, location and significance of the city helped increase trade and made Hisn Kayfa a staging post on the Silk Road. In Shaʿban 600 (April 1204), the Artuqid emir al-Salih Mahmud, who controlled both Amida and Hisn Kayfa, joined with al-Ashraf, the Ayyubid ruler of Harran, and princes from Mayafaraqin, Cizre, Sinjar and Irbil to rout the army of Nur ad-Din Arslan Shah I, the Zengid ruler of Mosul, in a battle near Nusaybin. In the second half of AH 601 (1204/1205), al-Salih Mahmud also lent his forces to help al-Ashraf attack Harput, which was controlled by another branch of the Artuqids. By AH 627 (1229/1230), al-Salih's successor, Rukn al-Din Madud, was allied with the Khwarazmshah Jalal ad-Din Mingburnu against the Ayyubid rulers al-Ashraf and al-Kamil. By 1232, control of Amida and Hisn Kayfa had passed to the Artuqid prince al-Masʿud. Troubled by the alliance with Khwarazm, al-Ashraf and al-Kamil resolved to attack Amida, and used as a pretext reports of al-Masʿud's misrule, including his abuse of local women. The combined Ayyubid armies, swelled by contributions from many of their vassals, besieged Amida on 20 Dhu-l-Hijja 629/5 October 1232. By 1 Muhharam 630/18 October 1232, al-Masʿud surrendered Amida to al-Kamil. Al-Kamil then sent his brother, al-Ashraf, along with al-Muzaffar Ghazi of Mayafaraqin to Hisn Kayfa to obtain its surrender. Even though, the Ayyubid force had brought with them al-Masʿud as a captive, the garrison at Hisn Kayfa resisted for some time, and the city was captured only in Safar 630/November 1232. Once the citadel fell to the Ayyubid forces, al-Kamil immediately installed his 27-year-old son, as-Salih Ayyub, as governor of both Amida and Hisn Kayfa, beginning the period of Ayyubid rule over the Diyar Bakr. Ayyubid rule of Hisn Kayfa was insecure almost from the start. During 1235, the Rum Seljuk forces of 'Alā ad-Dīn Kayqubād had advanced into Southeast Anatolia, capturing Harput, Urfa and Harran. In Dhu-l-Hijja 632/August 1235, they laid siege to Amida, but were unsuccessful in capturing the city and consequently did not advance as far as Hisn Kayfa. Only five years after Hisn Kayfa was captured by the Ayyubids, it had already become a pawn in the dynasty's power struggles. By AH 634 (1236/1237) al-Ashraf had become resentful of his brother al-Kamil's ill-concealed ambition. al-Ashraf recruited the rulers of Aleppo and Homs to his faction and sent ambassadors to the court of Rum Seljuk sultan 'Alā ad-Dīn Kayqubād to propose an alliance. When they arrived at the Seljuk court they discovered that Kayqubād had died on 4 Shawwal 634/31 May 1237, and they now had to deal with his son, Ghiyath ad-Din Kaykhusrau II. The Middle East historian R. Stephen Humphreys speculates that Kaykhusrau was offered control of Amida and Hisn Kayfa in return for joining the alliance. Although al-Ashraf had assembled a formidable alliance against his brother, he was unable to use this to engage al-Kamil's forces as he was already ill by the time of the negotiations with the Seljuks, and he died on 4 Muharram 635/28 August 1237. His rival, al-Kamil, died on 6 March 1238, and the Ayyubid domain was thrown into fresh turmoil. Al-Kamil had bequeathed control of the Jazira to as-Salih Ayyub, who had been emir of Hisn Kayfa, and named his younger brother al-Adil as his heir in Egypt. In his new role as sultan, as-Salih Ayyub installed his own young son, al-Muazzam Turanshah as prince of Hisn Kayfa in AH 636 (1238/1239), with one of his closest advisers, Husam al-Din, as Turanshah's atabeg. As-Salih Ayyub, meanwhile, gathered an army to take Damascus and challenge al-Adil's rule over Egypt. By June 1240 as-Salih Ayyub's soldiers had captured al-Adil and as-Salih became paramount ruler of the Ayyubid possessions. It appears that as-Salih's son al-Muazzam Turanshah remained prince of Hisn Kayfa from 1238 until 1249. When as-Salih Ayyub died suddenly on 12 November 1249, Turanshah had to be recalled in a hurry to take control of the Ayyubid empire. As-Salih's widow, Shajar al-Durr, dispatched a special embassy to bring her son to Egypt. Turanshah had left Hisn Kayfa with this party by 18 December 1249, heading for Anah and Damascus. Al-Muwaḥḥid ʿAbd Allāh succeeded his father, Turanshah, as ruler of Hisn Kayfa. Although his father ruled Egypt for barely a year and was killed during the Mamluk takeover, al-Muwaḥḥid ʿAbd Allāh ruled Hisn Kayfa for more than three decades, from AH 647 (1249/1250) to AH 693 (1293/1294), and was essentially the founder of the local Ayyubid dynasty. Although little remains standing from this prosperous period of the town's history, there is a detailed contemporary first-hand account by the topographer ʿIzz ad-Dīn Ibn Shaddād, whose last visit was in AH 657 (1258/1259). He lists many buildings in the lower town, including a Dār as-Salṭana (near the bridge), a mosque, three medreses, four hammams, tombs, caravanserais and bazaars. At the citadel, Ibn Shaddād mentions another mosque, an open square, and fields to grow enough grain "to feed the inhabitants from year to year". The German historian of Islamic art Michael Meinecke notes that almost none of the buildings that Ibn Shaddād describes can be identified in present-day Hasankeyf, and attributes that to neglect following the subsequent Mongol invasions and political instability. In 1255, the great khan Möngke charged his brother Hulagu with leading a massive Mongol army to conquer or destroy the remaining Muslim states in southwestern Asia. Hulagu first besieged Baghdad, which was captured on 13 February 1258 and destroyed. He conquered Aleppo on 24 January 1260, and the Nestorian Christian Mongol general Kitbuqa Noyan took Damascus on 1 March. It seemed inevitable that all of the region's cities, including Hisn Kayfa, would fall to the Mongols, and indeed most of them did. Hulagu's plan appears to have been to proceed to Palestine and Egypt. But while he was in Aleppo in the spring of 1260, he received word that the great khan Möngke had died the previous summer (on 11 August 1259). While Hulagu did not expect to succeed his elder brother, there was a struggle between two of his other brothers, Kubilai and Ariq Böke, for control of the Mongol empire, and Hulagu decided it was wise to withdraw to Tabriz to await the resolution of this conflict. On 23 Rabiʿ II 658/7 April 1260, Mayafaraqin fell to Hulagu's forces, presumably during their retreat towards Ahlat and Tabriz, leaving Mardin and Hisn Kayfa as the only cities outside his control in the Jazira. Mardin was captured by the end of 1260, but Hisn Kayfa appears to have escaped a concerted assault because it controlled only a minor trade route and could simply be bypassed. Nevertheless, it seems that al-Muwaḥḥid decided to submit to being a Mongol vassal at about this time. While most of the Diyar Bakr came under direct control of the Mongol governor or Mosul, both Ayyubid Hisn Kayfa and Artukid Mardin were allowed to remain as vassal states. By AH 665 (1266/1267) the Mamluk Baybars was in power in Egypt, and represented the primary force opposing the Mongols, now led by Hulagu's son Abaqa Khan. Baybars sent two eunuchs as emissaries to al-Muwaḥḥid to try to persuade him to abandon the Mongols, and apparently the emir of Hisn Kayfa agreed. However, the envoys were caught by a local Mongol commander as they attempted to carry al-Muwaḥḥid's reply to Baybars. Abaqa had the envoys executed, and al-Muwaḥḥid was banished to the Ilkhanate court for seven years. By AH 672 (1273/1274) al-Muwaḥḥid had returned as the nominal ruler of Hisn Kayfa, where he remained until his death, variously reported as having occurred in AH 682 (1283/1284) or AH 693 (1293/1294). Mongol rule of the region continued until 1335, and this badly damaged both trade and agriculture, which had been the sources of the region's prosperity. The impact was felt hardest between 1260 and 1315, and traders essentially avoided the region because of ongoing war between Mamluk and Mongol forces. In 1315, the Il-Khanate and the Mamluks signed a treaty and trade restarted. This proved to be a boon for Hisn Kayfa. The previous primary routes across the region—through Cizre and Nusaybin, and through Mayafaraqin and Amida (Diyarbakır)—both failed to attract many traders, and a new route from Iran to Aleppo through Siirt, Hisn Kayfa and Mardin took their place. 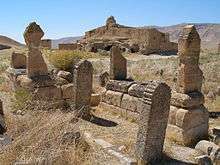 The economy of the region gradually shrank during the 14th and early 15th centuries, according to historian Thomas Alexander Sinclair, but this probably did not cause any population decline in the cities of Mardin or Hisn Kayfa, where building continued uninterrupted. Several other cities in the region, such as Mayafaraqin, Arzan, Nusaybin and Dara shrank or disappeared. After the breakup of the Ilkhanate, an Artukid force waged war against the Ayyubids of Hisn Kayfa in 1334, but were decisively defeated, with the Ayyubids gaining their possessions on the left bank of the Tigris River. During the 14th century, the emirs of Hisn Kayfa also controlled the interior of the Tur Abdin and the castle of Haytham (in the Tur Abdin). In 1334/5 al-Adil Hisn Kayfa seized control over Mayafaraqin, which probably had been governed by a Mongol vassal up to that time. Soon after, Al-Adil installed Zeyd, a Kurdish chief of the Zraki (or Zirki) tribe previously based at the castle of Boşat (the present-day village of Boyunlu, in Silvan district), as his client ruler at Mayafaraqin. It seems that this was in payback for Zeyd's assistance in helping Hisn Kayfa repulse an attack by the Artuqid sultan of Mardin. The Hisn Kayfa emirs also attacked and captured Siirt soon after the Mongol withdrawal. They fought for control of Siirt with forces from Arzan, and al-Ashraf of Hisn Kayfa succeeded in capturing it in 1341/42. In 1349/50, the Kara Koyunlu rose to dominate the region of the Diyar Bakr, and local princes such as those at Hisn Kayfa, paid tribute to them. Also in 1349/50, the emir of Hisn Kayfa, al-Adil, attacked Azran, breaching its walls and destroying the town in order to get revenge on the local ruler. After this victory the town was abandoned and al-Adil bestowed control of the surrounding region on a Kurdish family. In the early and middle 15th century, Aq Qoyunlu Turkmen forces attacked Hisn Kayfa several times, but Ayyubid rulers managed to retain control of the city and the city prospered until very end of the 15th century. In the 14th century, the Ayyubids rebuilt the castle of Hisn Kayfa which served as their stronghold as vassals of consecutively Mamluks and Dulkadirids until they were supplanted by the Ottoman Empire in the early 16th century. During the second half of the 15th century, Hisn Kayfa was still governed by the last remaining Ayyubid dynasty, who owed allegiance to the Turkmen Aq Qoyunlu confederation. The Aq Qoyunlu dynasty was headed by Uzun Hassan from 1452 to 1478. Uzun Hassan's initial capital was at Amida (modern Diyarbakır), which he gained from his brother Jihangir in 1452. From there, Uzun Hassan embarked on a campaign of expanding his territory at the expense of the rival Kara Koyunlu dynasty. Hasankeyf was one of the first towns to acknowledge Uzun Hassan's suzerainty, in an agreement signed by the Ayyubid emir in 1455. While Uzun Hassan managed to extend his influence throughout much of the Diyar Bakr and Jazira during the 1450s, the Ayyubid emir of Hasankeyf rebelled in 1460, attempting to take control of Siirt. Uzun Hassan responded by attacking Hasankeyf in 1461; he finally captured the town in 1462 after a six-month siege. It seems that Uzun Hassan then appointed his son Zeynel as governor of Hasankeyf. Aq Qoyunlu territory expanded further following their defeat of the Kara Koyunlu in Iran (1467–69), and Uzun Hassan moved his capital to Tabriz. However, Hassan followed up these successes with a disastrous campaign against the Ottoman Empire. Hassan's army of light cavalry was routed by Mehmed II's Ottoman forces, armed with rifles and cannon, at the Battle of Otlukbeli near Erzincan in August 1473. While Uzun Hassan survived, his son Zeynel Bey was killed in battle. In commemoration, the Mausoleum of Zeynel Bey was erected in Hasankeyf in about 1474 on the orders of either Uzun Hassan, or Zeynel's elder brother, Khalil. Following the Ottoman ascendancy established by Selim I in the region in the early 16th century, the city became part of the Ottoman Empire in 1515, during Sultan Süleyman I's campaign of Irakeyn (عراقین; "the two Iraqs", i.e. the Arab Iraq and the Persian Iraq) in 1534, at the same time as Batman, Mosul, Baghdad and Basra. In his 1614 History of the World, Walter Raleigh places "the Citie of Hasan-Cepha, otherwise Fortis Petra", upstream from the island of Eden, which he believed lay in the Tigris, based on his reading of Andreas Masius's De Paradiso Commentarius. The current population of Hasankeyf is predominantly Kurdish. Until the 1980s, Assyrians/Syriacs and Arab Christian families lived in the cave houses by the river. Many of these families emigrated to France, Germany and Switzerland as the Turkish government's conflict with the PKK escalated during the 1980s. Hasankeyf is rich in history throughout the ages and aside from the sites below, thousands of caves exist in the cliffs that surround the city. Many of the caves are multi-storied and have their own water supply. Churches and mosques were also carved into the cliffs and numerous ancient cemeteries exist throughout the area. The Old Tigris Bridge – Built in 1116 by the Artuqid Sultan Fahrettin Karaaslan, it replaced an older bridge. The bridge over the Tigris River is considered to be the largest from the Medieval Period. Support for the bridge was built with wood in case the bridge had to be removed in order to prevent an attack. Because of this, two piles and some foundation work are all that exist of the bridge today. The Citadel – This structure sits 100m above the Tigris River, overlooking Hasankeyf. The Citadel has likely been used as a dwelling place for centuries. Small Palace – This palace was built by the Ayyubids and overlooks Hasankeyf as it sits on a cliff. Ulu (Big) Mosque – With no inscriptions remaining, it is not exactly known when and by whom the mosque was built. However, it is thought that it dates from the period of the Ayyubids who have subsequently restored the mosque in the years 1327, 1394 and 1396. Great Palace – The palace was built by the Artukids; it occupies an area of 2,350 m² and has an associated rectangular tower that may have been a watchtower. El Rizk Mosque – The Mosque was built in 1409 by the Ayyubid sultan Süleyman and stands on the bank of the Tigris River. The mosque also has a minaret that has remained intact. Süleyman Mosque – This mosque was built by Sultan Süleyman and is all but destroyed except for a minaret. Süleyman's grave is missing from the site as well. Koc Mosque – The mosque is located east of the Süleyman Mosque and was likely built by the Ayyubids. Kizlar Mosque – Located east of the Koc Mosque, the Kizlar mosque was also likely from the Ayyubid period as well. The section of the structure which is used as a mosque today was a mausoleum in the past, containing grave remnants. Imam Abdullah Tomb – This cube-shaped tomb lies west of the new bridge in Hasankeyf and is the tomb of Imam Abdullah. Abdullah was the grandson of Cafer-i Tayyar, uncle of the prophet Mohammad. The tomb is dated to the 14th century and an epitaph on the tomb states that the tomb was restored in the Ayyubid period. Zeynel Bey Mausoleum – Named after Zeynel Bey, this mausoleum is opposite Hasankeyf on the Tigris River. Zeynel Bey was the son of Uzun Hassan ruler of the Akkoyunlu Dynasty which ruled over Hasankeyf in the 15th century. 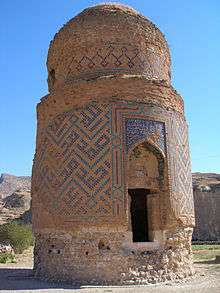 Zeynel Bey died in battle in 1473, and was buried in this circular brick mausoleum glazed with navy blue and turquoise tiles built by architect Pir Hasan. The building resembles in its architectural style mausoleums in Central Asia. A panoramic photo of Hasankeyf with the Tigris River in the background. With its history that spans nine civilizations, the archaeological and religious significance of Hasankeyf is considerable. Some of the city's historical treasures will be inundated if construction of the Ilısu Dam is completed. These include the ornate mosques, Islamic tombs and cave churches. It is estimated that 20,000 people in Hasankeyf will be displaced. According to the Bugday Association, based in Turkey, Ms. Huriye Küpeli, the prefect of Hasankeyf, the Swiss ambassador to Turkey and representatives of the Swiss led consortium of contractors for the dam project have suggested what they believe to be a suitable nearby spot for moving the historical heritage of Hasankeyf, an operation for which the Turkish Ministry of Culture pledged to provide 30 million euros. In December 2008 export credit insurers in Austria, Germany and Switzerland announced suspending their support for the project amid concern about its environmental and cultural impact and gave the Turkish government 180 days to meet standards set by the World Bank. These standards were 153 requirements on environmental protection, resettlement of villages, protection of cultural heritage, and resource management with neighbouring states. As Turkey did not fulfil any of them, the three ECAs indicated in a joint press release issued on the 7th of July 2009 that they withdrew from the project. Shortly after, in another joint press release issued on the same day, the three banks (Société Générale, UniCredit and DekaBank) financing the Ilısu Dam project also stated – in line with the decision of the ECAs – that the export credit granted by the three banks for the construction of the Ilısu Dam would no longer be available. This was the second victory, which also meant that Turkey would have to finance the proposed project with internal sources. The Minister of Forestry and Environment, Veysel Eroğlu, on a number of platforms, declared that the government would build the Dam despite all obstacles. The Ilısu Dam became a "project of honour" for the Turkish State which becomes clear in the words of Eroğlu. "We do not need their money. We will construct this dam at any cost." Since 2009 the construction goes on with the financial support of Turkish banks; Garanti Bankası and Akbank. The local climate is moderated by the proximity of the Tigris river. It makes the winters milder, with lows of 6–8 °C. Temperatures in summer can reach 40–43 °C and the yearly average temperature is 25 °C. 1 2 "Hasankeyf", Ministry of Culture 2005. 1 2 3 Chahan de Cirbied 1813, p. 320. 1 2 3 Sinclair 1979, p. 370. 1 2 Comfort 2009, pp. 63–64. 1 2 Sinclair 1979, p. 366. ↑ Sinclair 1979, p. 375. 1 2 3 Marciak 2014, p. 38. 1 2 Comfort 2009, p. 204. ↑ Comfort 2009, p. 275. ↑ Comfort 2009, p. 373, note 557. ↑ Today's Zaman 28 August 2007. 1 2 Sinclair 1979, p. 373. ↑ Sinclair 1979, p. 374. 1 2 3 Meinecke 1996, p. 58. 1 2 3 Taylor 1865, p. 34. ↑ Humphreys 1977, pp. 127–128. ↑ Humphreys 1977, pp. 128. ↑ Humphreys 1977, p. 218. 1 2 Humphreys 1977, p. 221. ↑ Humphreys 1977, p. 222. ↑ Humphreys 1977, pp. 222–223. 1 2 Humphreys 1977, pp. 223. ↑ Meinecke 1996, p. 64. ↑ Humphreys 1977, p. 227. 1 2 3 Humphreys 1977, pp. 231. ↑ Humphreys 1977, pp. 232. ↑ Humphreys 1977, pp. 251. ↑ Humphreys 1977, pp. 303–304. 1 2 3 Meinecke 1996, pp. 64–65. 1 2 3 Meinecke 1996, p. 65. 1 2 3 4 Humphreys 1977, pp. 356. 1 2 3 4 Sinclair 1989, p. 396. ↑ Amitai-Preiss 2005, p. 150. ↑ Sinclair 1989, pp. 397,398. 1 2 3 4 Sinclair 1989, p. 397. ↑ Singh 2000, pp. 203–204. 1 2 3 4 5 6 Sinclair 1989, p. 399. ↑ Ayliffe et al. 2003, p. 913. 1 2 3 4 5 6 Sinclair 1989, p. 404. ↑ Babinger 1978, pp. 314–315. 1 2 3 4 5 6 7 8 9 "Batman", Ministry of Development & ND. ↑ Raleigh 1614, p. 44. ↑ Davidson 2008, pp. 30–31. "Çevre Bakanı Veysel Eroğlu öyle bir söz etti ki Ilısu Baraj projesi Türkiye'nin başını 'ağrıtmaya' devam ediyor." [Environment Minister Veysel Eroglu says the Ilisu Dam project is a 'head ache' for Turkey.]. Ekonomik Ayrıntı. "Batman" (in Turkish). Republic of Turkey, Ministry of Development. Retrieved 17 December 2014. "Roman mosaics discovered in Hasankeyf". Today's Zaman. 28 August 2007. Wikimedia Commons has media related to Hasankeyf.